Join healthcare, community and business leaders at the White Coats-4-Care Reception, sponsored by Kaye Communications, Inc. and hosted by Jazziz Nightlife at Mizner Park. 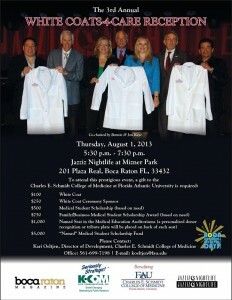 Attendees dress Florida Atlantic University’s incoming medical students in their first official white coats and support academic medical education and research in the community’s own backyard by raising awareness and funds at various giving levels. Please see event details and RSVP contact information below (click to enlarge). Join healthcare, community and business leaders at the White Coats-4-Care Reception, sponsored by Kaye Communications, Inc. and hosted by Jazziz Nightlife at Mizner Park. 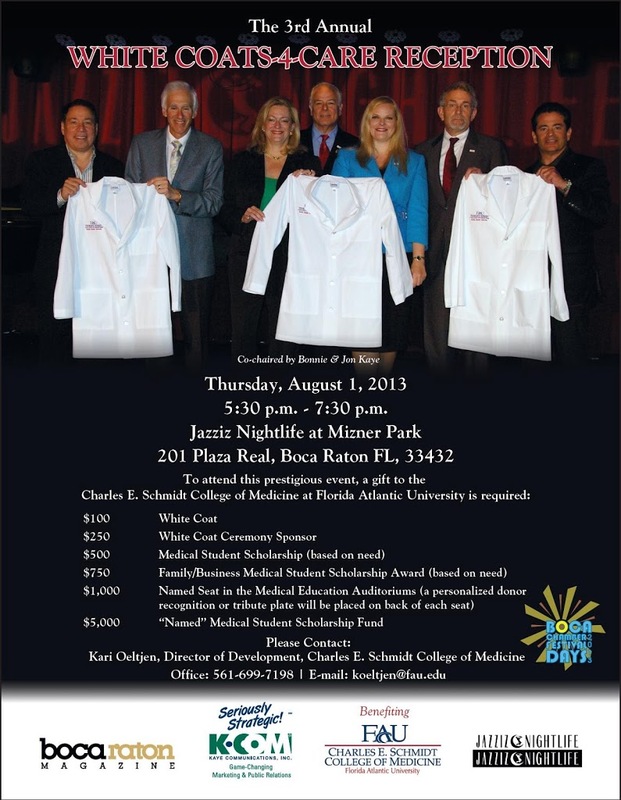 Attendees outfit Florida Atlantic University’s incoming medical students in white coats and support academic medical education and research in the community’s own backyard by raising raise awareness and funds at various giving levels. Sponsor: Jon & Bonnie Kaye and Kaye Communications, Inc.